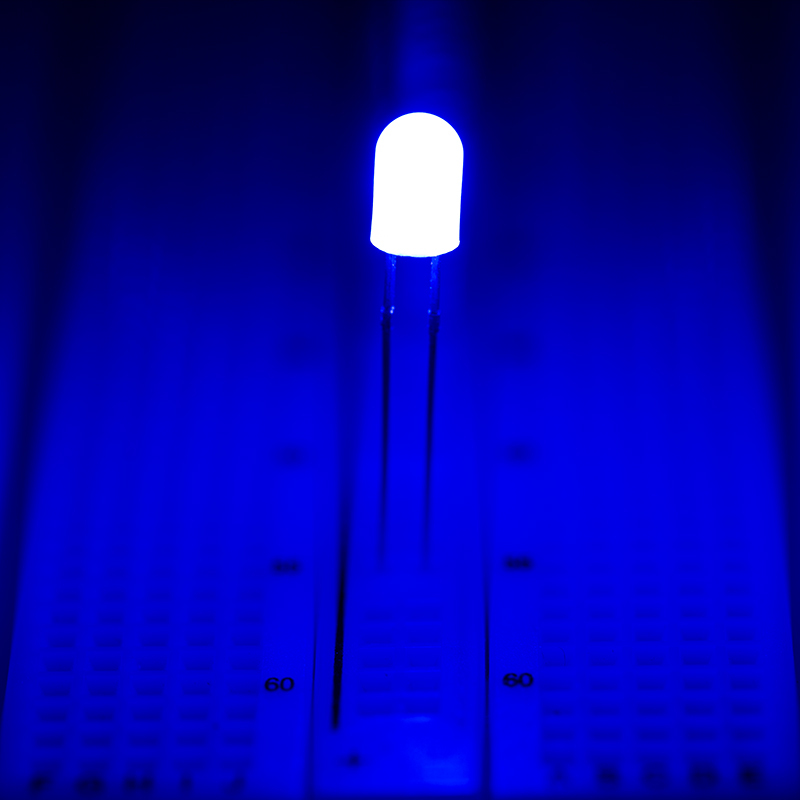 5mm Blue LED (360 degree): Shown Installed On Circuit Board. (Customer Photo). 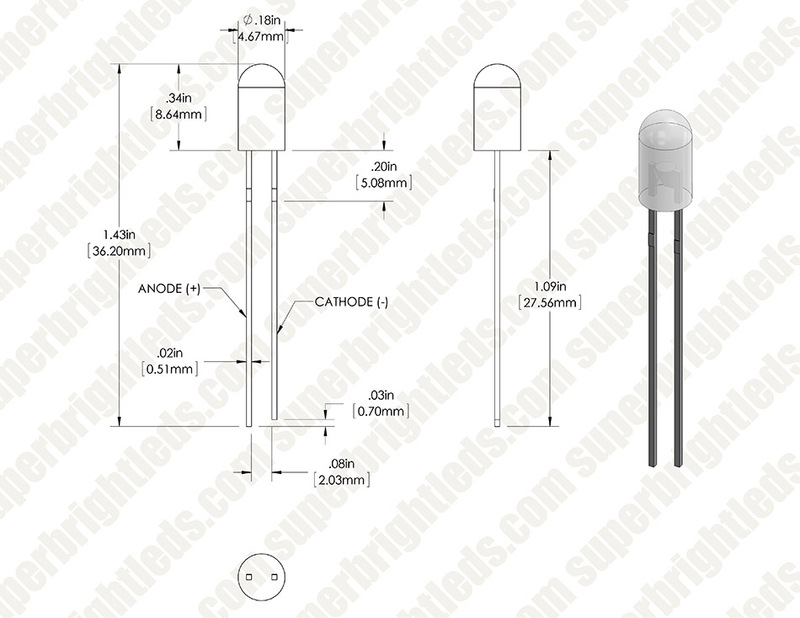 5mm Blue LED (360 degree): Profile View. Blue through hole 5mm LED. Features 800 millilumens and 462nm wavelength. This unique LED has a diffuser coating which emits blue light in all directions, 360 degrees around, from end and bottom, just like a filament bulb. 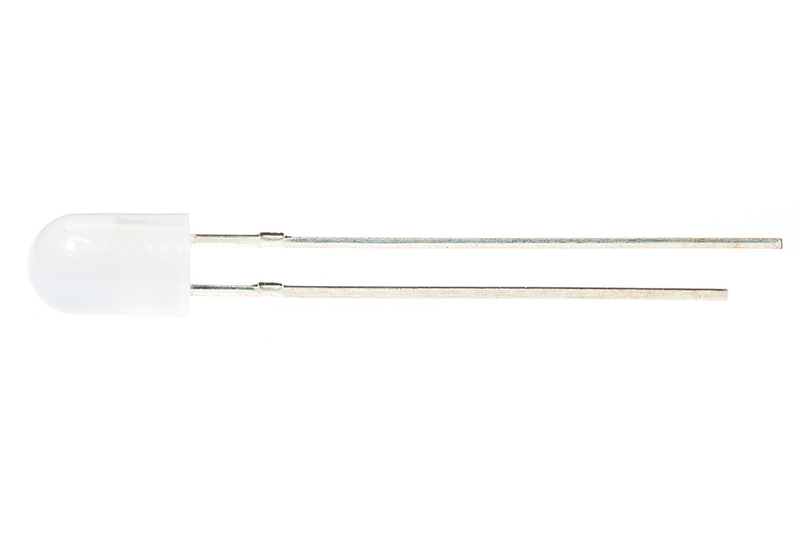 Component LEDs are sensitive electronic devices and require some knowledge of electronic circuits to operate them. Price listed is per unit, however, bulk discounts are available and are automatically applied to your order. 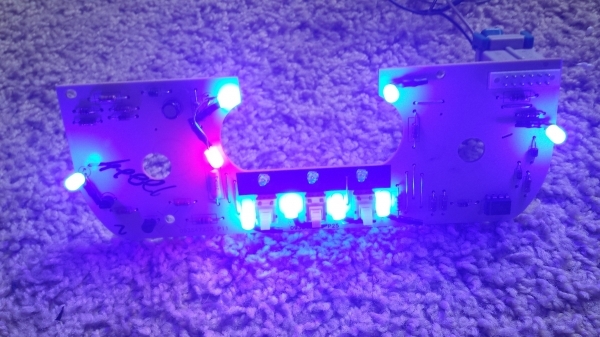 Very nice leds, many uses. These are really pretty awesome. They truly emit light all around, making them useful in tons of applications. They're also pretty bright, and their color is a very nice blue. I used them to replace the mini filament bulbs (supposed to be non replaceable) in my stereo/climate control and the old school leds in my window switches and change the color to blue. Resulted in a vibrant and evenly lit system that i still get complements on. This blue is great hue of deep blue. Very cool 360 degree view. Did an led upgrade for my Silverado guage cluster and looks great. Lights up strong and is well designed. Hopefully holds up but so far looking good. The 360 degree lens works as described and emits a perfect light spread to prevent hot spots! Paired with a 470 ohm resistor for 12v circuit, I use these to convert Saturn HVAC units and they look great! Would recommend one red bulb for the temperature dial to prevent darkening! I used these LED's for a custom instrument cluster, and they are the best I have used!